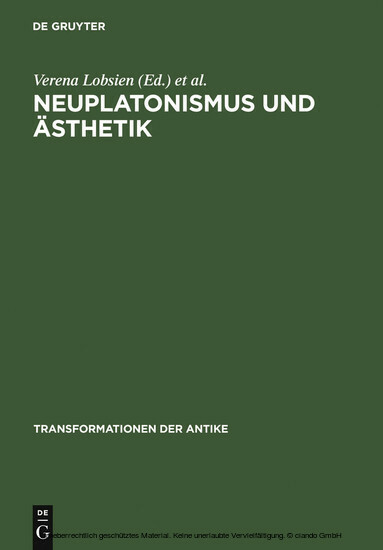 The volume enquires into the relationship between philosophy and aesthetics in Late Antiquity. Is the sensuous beauty of art a medium for the highest thinkable truth? And if this can be called ‘aesthetics’, how has it changed over the centuries and what is its significance for the theory of art today? The contributors – experts in systematic philosophy and literary studies from a variety of disciplines – work on this transdisciplinary topic using concrete examples from the Middle Ages to Post-modernism and examine the scope and transformations of this fundamental insight up to the present day. Verena O. Lobsien und Claudia Olk, Humboldt-Universität zu Berlin.